When I was younger there was a period I took care of my nails a lot and I had even learnt doing everything a professional would do. Of course I hadn’t practiced enough and I don’t think I was great at this art. I think my weak point has to be nail art design, as I’m not good at drawing in general. So, back then I treated myself from spa manicure to artificial nails whenever I had some free time. I used to work a lot at this period, but I didn’t do much housework and this means I didn’t destroy my manicure as soon as I finished it. Now it’s impossible to sit down and do my nails whenever I want. I have received this package for a couple of weeks now and I couldn’t find some time to explore and play with it. – 1 x UV topcoat which dries with any UV light. It helps to achieve faster drying, longer lasting and higher shine and no yellowing. First of all, for this quantity of products the price is unbelievable. 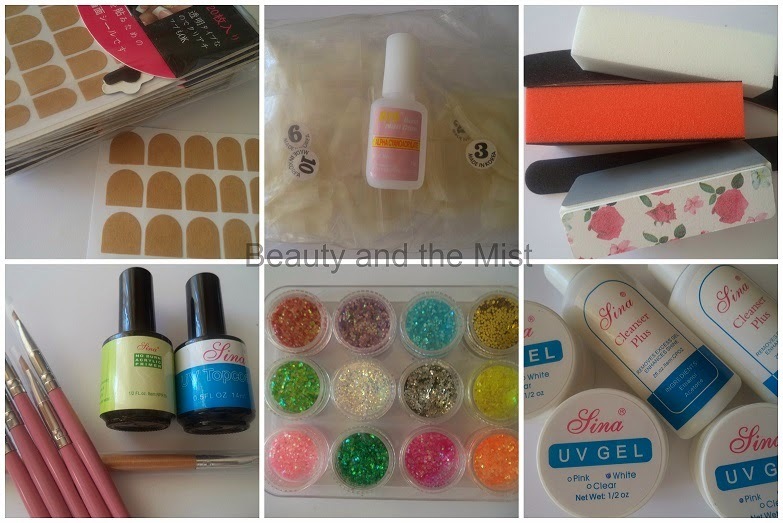 The whole kit costs $31,85 and in the UV Gel section you can also find kits with less items if you don’t need all these. 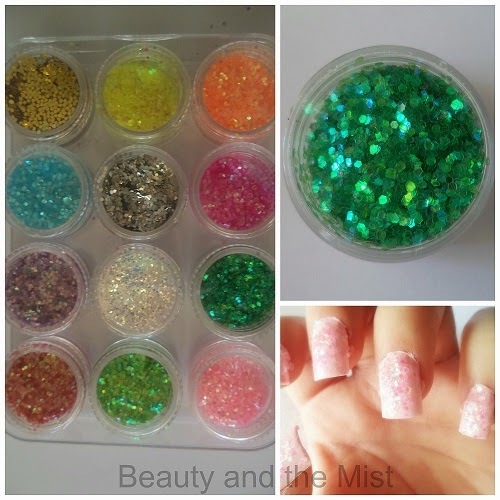 In the past I had spent a lot of money for similar products.This kit provides a large variety of nail items which could be very useful for a professional or for a woman who does her nails on her own. For my first approach with this kit I used the adhesive tips which are actually stickers with a sticky glue like a gel on both sides. 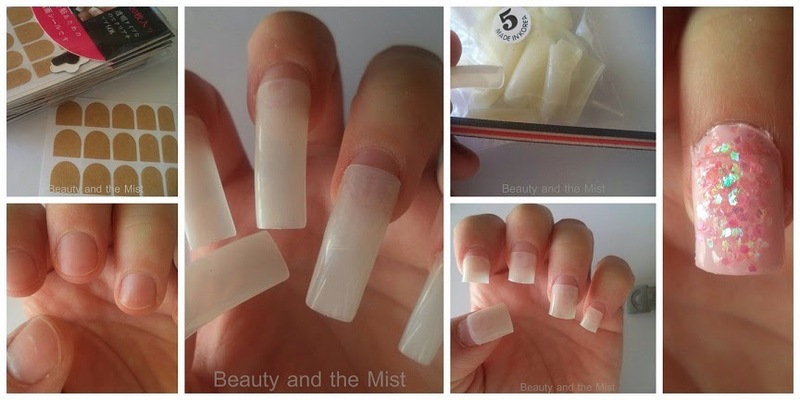 I suppose they’re great for temporary results if you want to wear false nails. Then I chose the right size of tips for my fingers. I used numbers 9, 5, 5, 4, 1. 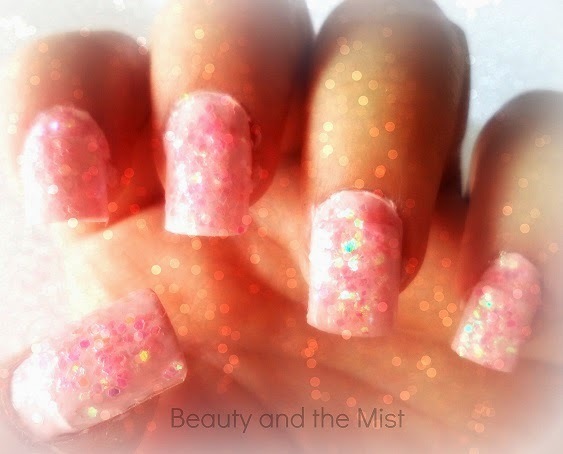 For my ring finger and thumb I filed the tips, so that I create the exact size. With a false nails clipper I shortened the tips and then filed them.